Attorney General Jeff Sessions unveiled new efforts to curb the country's current opioid epidemic by instituting a new pilot program within the Department of Justice to tackle the crisis head on. 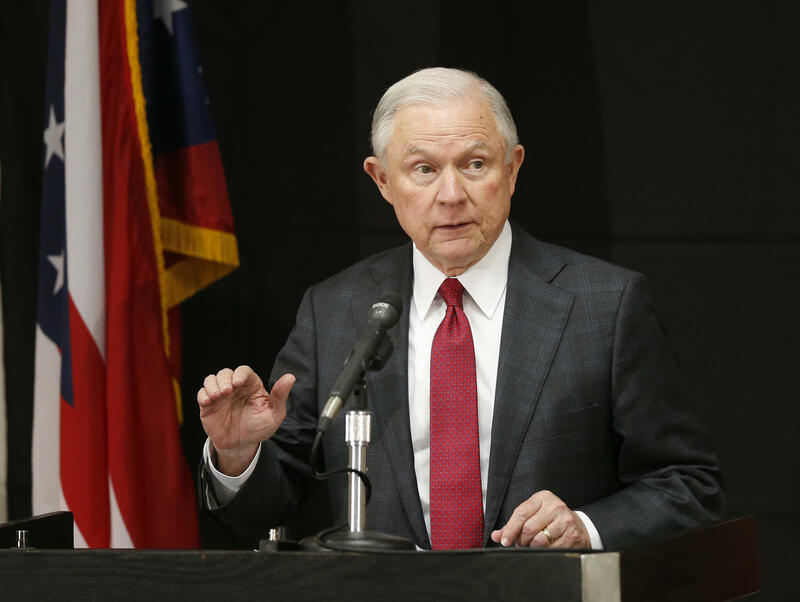 "I have created this unit to focus specifically on opioid-related health care fraud using data to identify and prosecute individuals that are contributing to this opioid epidemic," Sessions said while delivering remarks at the Columbus Police Academy in Ohio on Wednesday. "I am also assigning 12 experienced prosecutors to focus solely on investigating and prosecuting opioid-related health care fraud cases in a dozen locations around the country where we know enforcement will make a difference in turning the tide on this epidemic," he added. The prosecutors will work in conjunction with FBI, DEA, HHS as well as state and local partners to prosecute doctors, pharmacies, and medical providers who are aiding in the spread of the epidemic. Sessions vowed to reverse the "devastating trends with every tool we have" in order to fight what he called "the worst drug crisis in our history." Ohio sees high numbers of opioid overdose deaths. In 2015, according to the Ohio Department of Health, opioid overdoses accounted for the deaths of 2,590 people. The attorney general also embraced other measures like better treatment for addicts, as well as improved prevention and awareness programs led by the Justice Department and Drug Enforcement Administration (DEA). Sessions commended the Trump administration's efforts in stopping the flow of drugs across the U.S.-Mexico border, saying, "Under President Trump's strong leadership, the federal government is finally getting serious about securing our borders. Illegal entries are down 50 percent already and the wall has not even gone up." Mr. Trump recently announced his support of a new bill aimed at reforming the U.S. immigration system by scaling back the number of immigrants entering the country. "With these new resources, we will be better positioned to identify, prosecute, and convict some of the individuals contributing to these tens of thousands of deaths a year," Sessions added. "The Department is determined to attack this opioid epidemic, and I believe these resources will make a difference."